At City Today, we offer a great, same day service for any business – With 12 depots and 2,500+ vans, we can offer quick response and delivery wherever you are. In addition to these facilities, for international deliveries we have agreements with the leading international logistics and courier providers. This means we can offer you great customer service and great pricing to help you to stay ahead in an increasingly competitive market. We don’t just offer great same day delivery – National, International plus, of course – City Today can make your business quicker and more efficient. 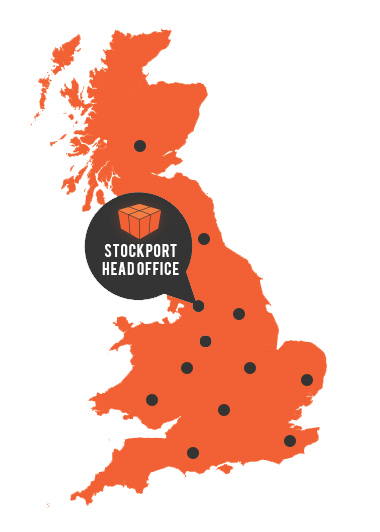 We have 12 Sorting Depots in the UK to get your parcel to you quicker.